Parenting is hard, and our society and common perceptions make it even harder. 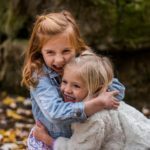 What if I told you that you could turn your relationship with your children into cooperative, compassionate, and loving with a few tweaks of perception? 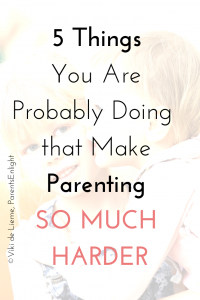 Parenting is hard; whether you’ve been parenting for a few months or a few years – you already know parenting is hard. Every day is a struggle. Every task seems impossible. The smallest things are the hardest, right? 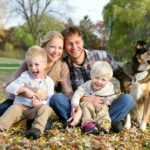 The good news is that there are 5 things most of us do on a daily basis that make parenting so hard, and that we can change rather easily. Actually, that’s a little lie. To change it we will need to challenge the perceptions we were parented by, the concepts we grew upon, and what we were taught to believe. It is possible, change starts right here, and I’m here to help. 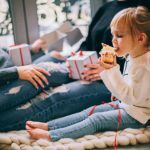 So without further adieu, here are the 5 things you are probably doing that make parenting so much harder, and their alternatives. We are taught to believe that if our children don’t reply – they ignore. We are taught to believe that children test limits. We are taught to believe that WE are the reason to why our children do certain things. We aren’t. Our children are trying to meet their own needs. They don’t go against us – they want to serve themselves. Once we learn to see what kids say and do in this light – we can address their needs and feelings without being hurt by them. Can you imagine the freedom? Words are behaviors, and the behavior is the very last link of this thing I call the experience of human life. Underneath the deeds and the words there are presently living needs. When we try to change a behavior without addressing the underlying need – we will fail miserably. The day we’ll learn to see past the content, past the behavior and into the hearts of our children will be the first day of the rest of our wonderful lives. We are taught to believe that fights and struggles are necessary for us to get what we want. When in fact – human beings are programmed to resist control. When we try to actively control how our children behave, defiance is what we can expect in return. Compassion is the alternative. Creating an autonomous life experience where children feel seen and heard will change 95% of their unpleasant behaviors without us having to actively do a thing. When we believe things should be anything else than they are – we live a life pain. Believing we should, they should, or he should – robs us of the present moment where things are just the way they are. And things are the way they are for a reason. If we learn to accept things for what they are, we will stop blinding ourselves to the reason. Recognizing the reason will allow the desired change to linger into our lives, without fights or struggles. Guilt and shame are inherent in our society; we are taught that we are wrong from the very first moment of our existence. And since this is instilled to us from one generation to another – guilt and shame are our second skin, until we will teach ourselves a new lesson according to which we are the very best we can be in any given moment. If we could do better – we would. Since we didn’t – we couldn’t. Self compassion will allow us the air, the space, and the serenity that is needed for learning since all learning always takes place in hindsight, and marrying the past didn’t yet make the future better. Did it? 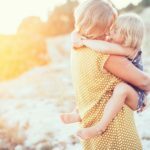 But believing we are to blame, believing we need to change, believing all this weight is on our shoulders and that we are carrying it alone – makes parenting so much harder. Because when we suffer – we pass that suffering on. And then – everyone suffers. There is a way out of this vicious cycle; there’s a way to take all these burdens off of your shoulders, and allow you to live a life of compassion and acceptance, that will breed compassion and acceptance among the ones you love most. And this light has a name: Nonviolent Communication. This deep level of understanding, of connection to self and to the other, enables all participants to mediate conflicts and create the sense of closeness and empowerment in every interaction. Everything you are going through can be changed. Your life experience can be changed. It can be made better. 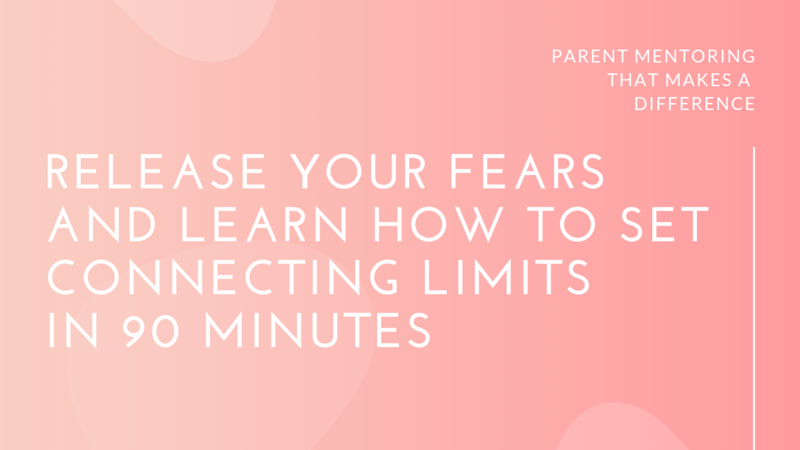 I’ve been coaching and mentoring parents for years and I haven’t yet met a child or a parent who remained indifferent to this new approach to communication. Do something for yourself and give it a try; I always offer the first session free of charge, and you can submit yours right here. This is brilliant! The first point of always thinking that we the parent, get insulted when kids don’t respond to us. But realizing that they are serving their own needs puts it in a different perspective.